One of the best things about America is its innovation and abundance of opportunities for people from different backgrounds. America’s entertainment industry glorifies entertainers across every side of the industry, from sportsmen to actors/actresses to Television personalities and the phenomenon makes the entertainment industry very appealing with new talents being discovered every day across the various fields of showbiz. One of those American talents is Kristin Cavallari. She is a multi-talented woman whose skills range from acting to fashion designing. She recently began her television show, Very Cavallari. If you are curious to know more about the television personality, read on below. Although she’s of German and Italian descent, as her name suggests, Kristin Cavallari is an American. She was born in Denver, Colorado to parents, Dennis Cavallari and Judith Eifrig. She took her first breath on 5th January 1987 and is the second child of her parents. Her older brother is named Michael Cavallari. Kristin was somewhat of a troublesome child growing up. After her parents got divorced, Kristin lived with her mother and her stepfather for awhile but caused so much trouble which made her mother send her to live with her father in Laguna Beach. At Laguna Beach, she attended Laguna Beach High School. Her introduction to the entertainment world came in 2004 when she was cast in a reality show set in her school, Laguna Beach: The Real Orange County. The show focused a little on her affair with Stephen Colletti, whom she was dating at the time. After the show ended in 2005 and Kristin had already tasted the benefits of fame, Kristin moved to Los Angeles in pursuit of an acting career. She found some roles as she was just coming off the success of Laguna Beach. She starred in an episode of Veronica Mars as Kylie Market in 2006. In the same year, she got the main role in the horror film, Fingerprints, playing Crystal. Unfortunately, for Kristin, she did not get the big break she hoped for in acting. In the following years, she appeared in bit part roles in films and television. In 2009, however, Kristin returned to join the spin-off series of Laguna Beach, The Hills. She starred in 23 episodes of the show. She has also appeared in other television shows like Dancing with the Stars. Although her breakthrough never came from acting, Kristin never gave up and in 2014, she began hosting a half-hour fashion/lifestyle show called The Fabulist after she showed her hosting abilities in 2012 when she commented the Oscars with the E! team. E! announced Cavallari would be getting her own reality TV show in 2018. The show, titled Very Cavallari would chronicle Kristin’s life along with her husband’s, Jay Cutler. Aside from being a television personality, actress and fashion designer, Kristin is also an author. She has written a cookbook titled True Roots – A Mindful Kitchen with more than 100 recipes Free of Gluten, Dairy, and Refined Sugar. Upon release, the book was successful and made it onto the New York Times Best Selling list in its category. Cavallari’s life is not all about the glamour. She is also a notable philanthropist. She has been involved in HIV/AIDS awareness campaigns and helped raised money for research and vaccine development. She’s a supporter of LGBT rights and has featured in PETA ads for animal rights. Cavallari’s charity and philanthropy are not limited to America. She has traveled internationally to countries like El Salvador and Kenya in service of charity work for the nonprofit, One Kid One World. Kristin Cavallari’s modest success in the entertainment business, along with her successful book has helped her build a net worth of $3.5 million. A successful first season of her reality show which has been renewed for a second season all suggest her net worth will grow higher in the near future. 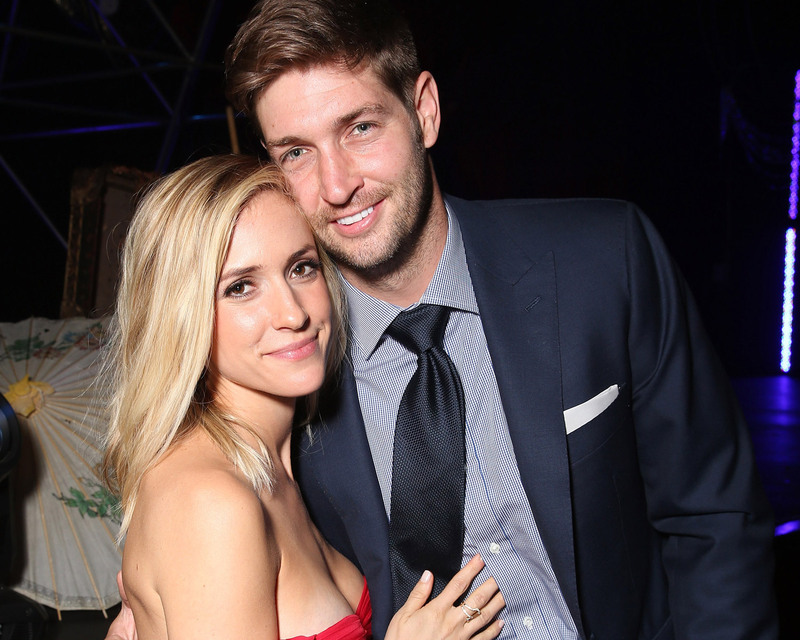 Kristin Cavallari is married to former professional football player Jay Cutler. The two stars started dating in the latter parts of 2010 and got engaged barely six months after. Their engagement was short-lived but the couple soon reconciled and got married on June 8, 2013. Cavallari and her husband, Cutler have three children – Camden Jack, Jaxon Wyatt and their only daughter, Saylor James. She drew national controversy in 2014 when she announced her refusal to vaccinate her children. Kristin Cavallari is the second child of her parents. She, unfortunately, suffered the tragedy of losing her older brother, Michael Cavallari to hypothermia after a car crash on December 10, 2015.